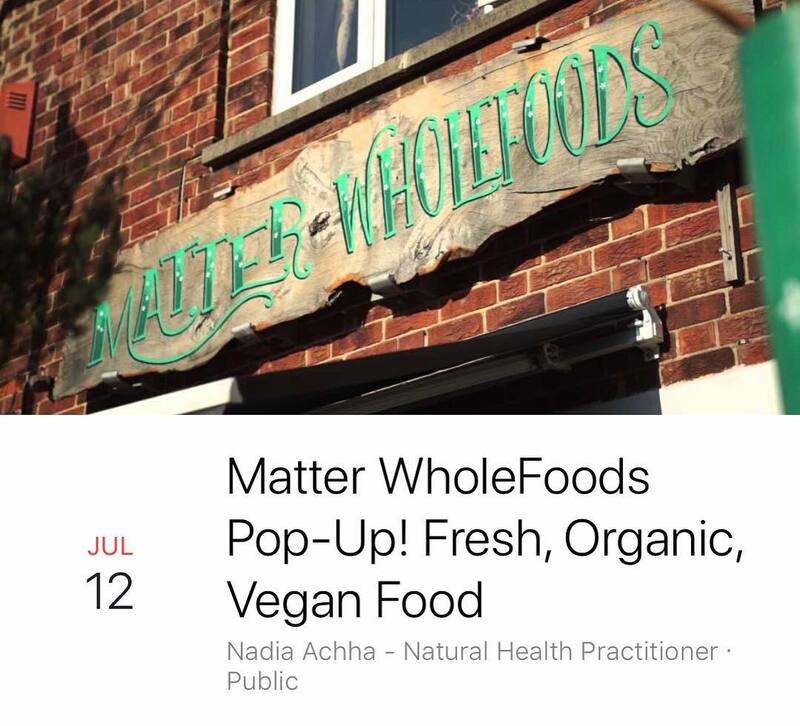 Matter Wholefoods are putting on a Matter Pop Up Restaurant on the 12th of July! Mains options: *Vegan Steak with creamy herby mushroom peppercorn sauce or *Banana Blossom Fish marinated in fresh herbs and pan fried (GF). *All served with: Coconut-oil air fried potato wedges, large fresh salad with sprouted veg, spicy kimchi, sauerkraut, vegan mayonnaise, kombucha ‘beer’ with ginger & turmeric syrup, and a slice of raw vegan dessert! All food is ORGANIC! To join The fest book Your tickets: Early bird tickets £13.50 (Ends Sunday! ), Tickets: £16. Tickets can be paid for via PayPal wemale@gmail.com Reference ‘SURF N TURF’ or purchased at the Matter shop (3 Greenbank Rd, Bristol BS5 6EZ). For any additional information, you can ring or message Nadia on 07825529018.